Families of all sizes find a happy home in the Sienna. A spacious gathering room welcomes you from the 2-story foyer and draws you into the sunny café area and open kitchen with island. Upstairs, every square foot is maximized for livability. Loft space provides a kids’ play area, while the Owner’s Suite offers both privacy and proximity. The Sienna is a wonderfully thought out floor plan that offers three bedrooms plus a loft and flex room. The spacious owner’s suite on the second level features a large walk-in closet perfect for clothing and extra storage. 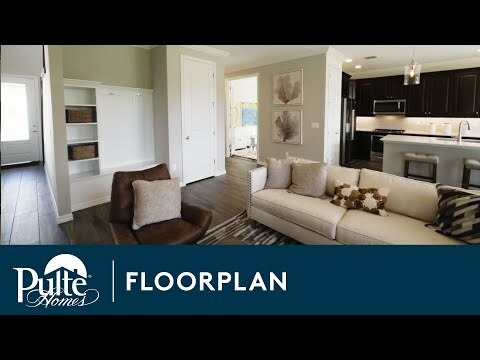 On the main level, a beautiful open kitchen, featuring Moen® faucets and granite countertops, flows easily into the interconnected café seating area, perfect for everyday family meals and entertaining. The Sienna, a two-story single-family home, maximizes its design with an open kitchen, naturally lit café area, spacious gathering room, and flex room on the first floor. Upstairs, you’ll find 3 bedrooms, a sizable loft, and the laundry room.